Some fitness experts refer to swimming as the perfect exercise; after all it is low cost, easy on your joints, and can be done by people of any age. By hopping in the pool for 30 minutes a day, you can swim your way to a healthy heart, mind, and body. If you have ever watched the Summer Olympics, you have probably noticed that all of the swimmers are very lean and have great muscle tone. This is no coincidence – water offers 12 times more resistance than air, and the motion of swimming engages nearly every muscle in your body including your legs, arms, core, and back. Like any other aerobic exercise, swimming is a great way to improve your heart health. Studies have shown that swimmers tend to have lower heart rates, better blood pressure, improved blood circulation, and healthier cholesterol levels. Swimming helps keep you loose and flexible because of the broad range of motions that your body must go through; your arms move in wide circles, your legs and hips propel you through the water with every kick, and your spinal cord is constantly twisting from side to side. Your body naturally releases endorphins when you exercise; this is why some people experience a “runner’s high” after going for a long jog. In addition to lowering stress levels, swimming has also proven to help relieve mild cases of depression. 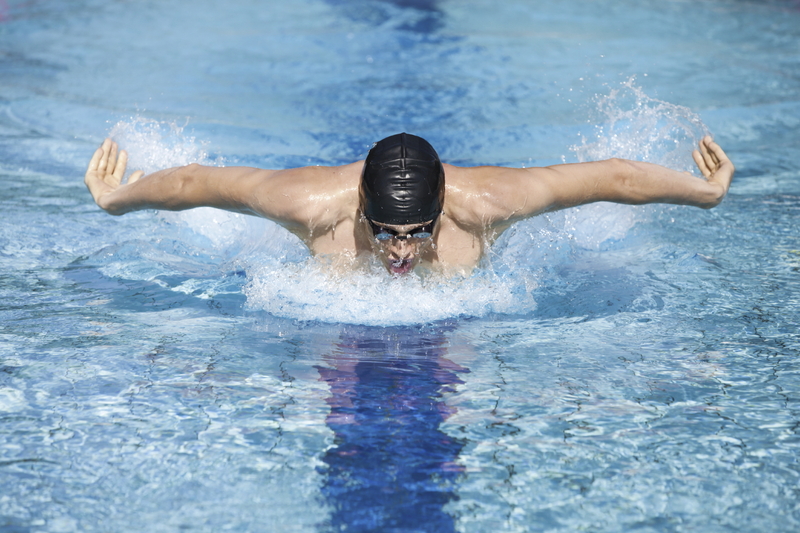 What makes swimming the best exercise for the elderly and those with orthopedic injuries? The fact that it is a no-impact form of exercise. Running can place a great amount of stress on your body, but the buoyancy of water provides an environment to exercise your joints without putting them under the strenuous weight of your body. If exercising is causing pain in your body’s muscles, joints, and bones, help is available at Orthopaedic Specialty Group. As southern Connecticut’s largest orthopedic practice, we have the team of licensed physicians and the state-of-the-art facilities that you need to get healthy. Visit our website for more information or book an appointment with one of our specialists by calling (203) 337-2600.